How to add new users to your Drupal CMS. How to edit the permissions for different users. How to change the URL path alias for your content. How to add a basic page to your website using the Drupal CMS. How to change the site name and slogan for your site. How to create new custom text blocks on your website. How to use Webform to create and customize fill-in forms. 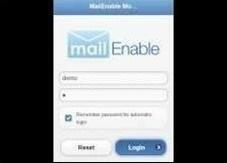 How to use MailEnable on a mobile device. 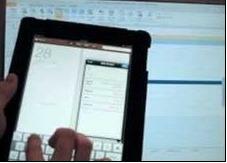 The Webmail client is designed exclusively for smartphones and tablets. How to set up automatic Spell-Check. Enforce spellchecking for every e-mail before it is sent. 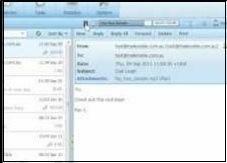 How to sync your contacts and appointments between MailEnable and Outlook. 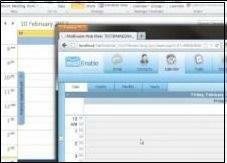 Create an appointment in Outlook and sync it to your iPad. Using CalDAV on an iPad and the Outlook MAPI Connector. 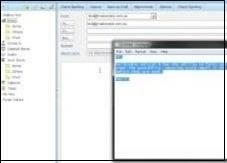 How to use the embedded MP3 player in MailEnable. MP3 file attachments can now be previewed and streamed. How to use the embedded YouTube player. Click on thumbnail link and play the video in the message body! Create an appointment in your iPad and sync it to Outlook. 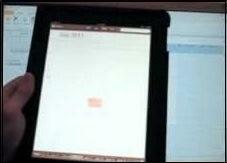 Demonstrates using CalDAV and the iPad. 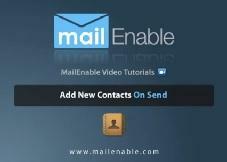 How to quickly add recipients as new contacts after sending. Option to add contacts not already in the address book.